This session problematises the role that representation has played as the driving logic of mediation behind industrial approaches to audiovisual translation during the mass media culture – characterised by the centrality of tele-cinematic commodities, the prevalence of linear models of media consumption and distribution, and the mapping of audiovisual markets onto discrete national audiences. In the post-industrial digital culture that began to crystallise a decade ago, the means of media ‘prosumption’ have become more entangled and collaborative, and brought to the fore ‘the bottom-up energy of media created by amateurs and hobbyists as a matter of course’ (Blau 20015: 3). Against this backdrop, the portability and reproducibility of media content is reshaping the media marketplace: with streaming on-demand channels of transmission becoming more ubiquitous, audiences are becoming rapidly superseded by much more fragmented and fluid ‘audienceships’ (Pérez-González 2014). Significantly, for the purposes of this session, the networked dynamics of the digital culture are favouring intervention as an alternative approach to linguistic and cultural mediation that erodes the privileged status of the original text and allows for new forms of interaction between translators and their audienceships. Under this new interventionist regime, scholars interested in the sociology of audiovisual translation are presented with new research challenges and opportunities. In this session, I will examine how audiovisual translation is quickly emerging as a community-building cultural activity, which calls for the analytical lens to be shifted away from the translation output towards the processes of organisation and deliberation that take place around this participatory activity and contribute to galvanising geographically dispersed collectivities of interest. Specifically, this presentation explores the theoretical and methodological demands that these developments place on audiovisual translation scholars, and surveys a range of frameworks that could assist us in harnessing the complexity of audiovisual translation activities in the digital culture. 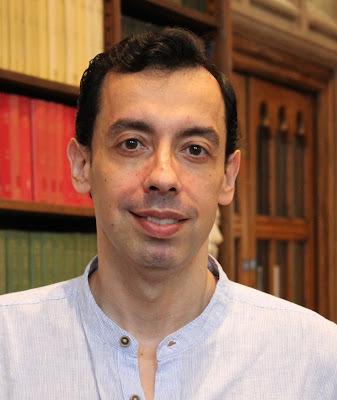 Luis Pérez-González is Professor of Translation Studies and Co-director of the Centre for Translation and Intercultural Studies at the University of Manchester, UK. He is a Co-investigator on the 4-year project Genealogies of Knowledge: The Evolution and Contestation of Concepts across Time and Space, and a case study analyst in the Manchester-led OWRI project Cross-language Dynamics: Reshaping Community – both of them funded by the Arts and Humanities Research Council in the UK. He is also author of Audiovisual Translation: Theories, Methods and Issues (Routledge 2014), editor of Routledge Handbook of Audiovisual Translation (2017), and co-editor of Routledge’s Critical Perspectives on Citizen Media book series. His articles have appeared in a wide range of international journals, including The Translator, The Journal of Language and Politics, Convergence: The International Journal of Research into New Media, International Journal of Cultural Studies, Journal of Pragmatics and Language and Intercultural Communication. The event is open to all. For further information contact Dr. Anna Milsom at a.milsom [at] leicester.ac.uk. Carol O'Sullivan is Director of Translation Studies in the School of Modern Languages at the University of Bristol. She is Editor of the journal Translation Studies. Opinions expressed in a personal capacity. It's a Babel fish. 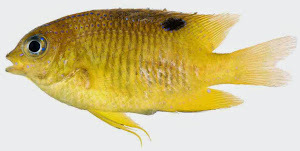 OK, it's a longfin damselfish.